A revolutionary concept in the world of corporate musical entertainment, combining the classic and sophisticated nature of a pianist/singer with the flexibility of a strolling musician. 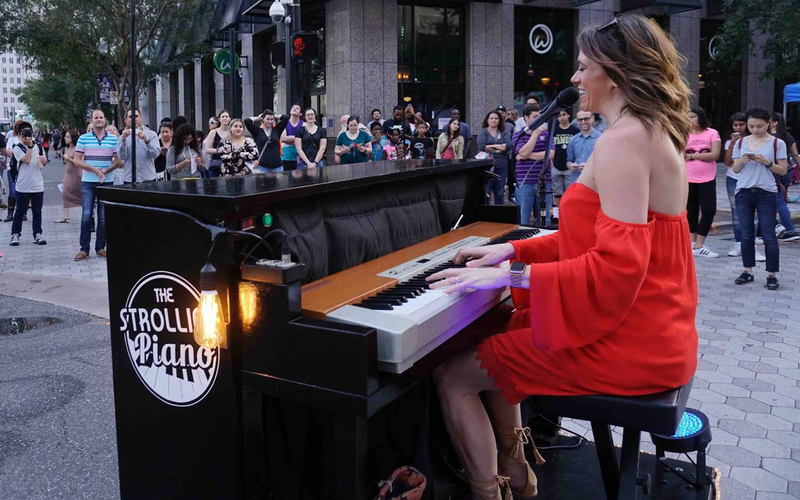 This fully mobile, fully self­-contained piano can move around any event space safely and with ease, and it cleverly contains a PA that will support up to 300 guests or can wirelessly connect to an existing house PA system for larger events. There is no need to be attached or anchored to a wall because The Strolling Piano can operate for over 4 hours on its internal battery. There is no location too remote for The Strolling Piano. 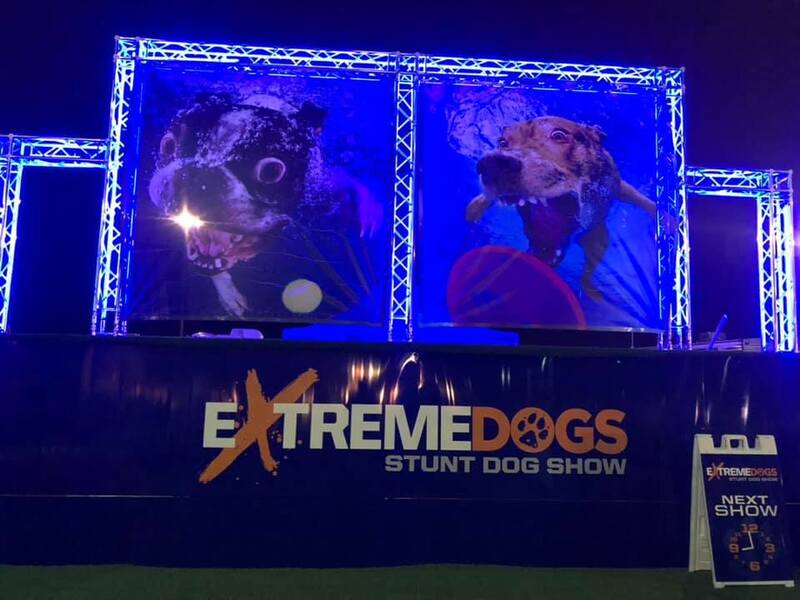 Pool decks, lakes, golf courses, outdoor festivals, and beaches are all easily transformed into event spaces with no additional need for power. The Strolling Piano is a truly unique entertainment option and will have every guest intrigued, engaged, and delighted. ADVERTISING? 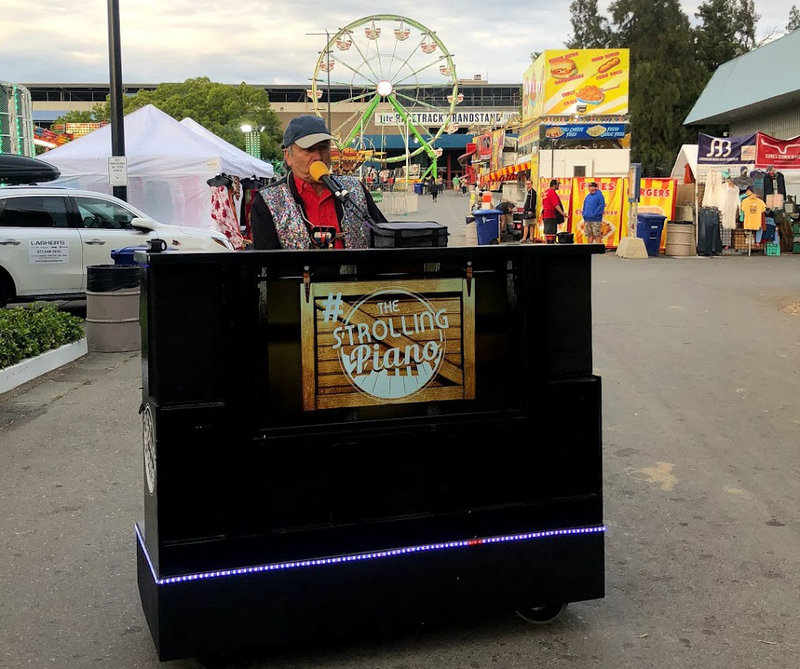 The strolling piano can have your company’s logo or additional information added to the new front digital display screen or sides of the piano no problem! Ask us about that opportunity. And fun fact - the mobile unit also has the means to quickly change over from piano to DJ table to become a Strolling DJ in a matter of minutes. 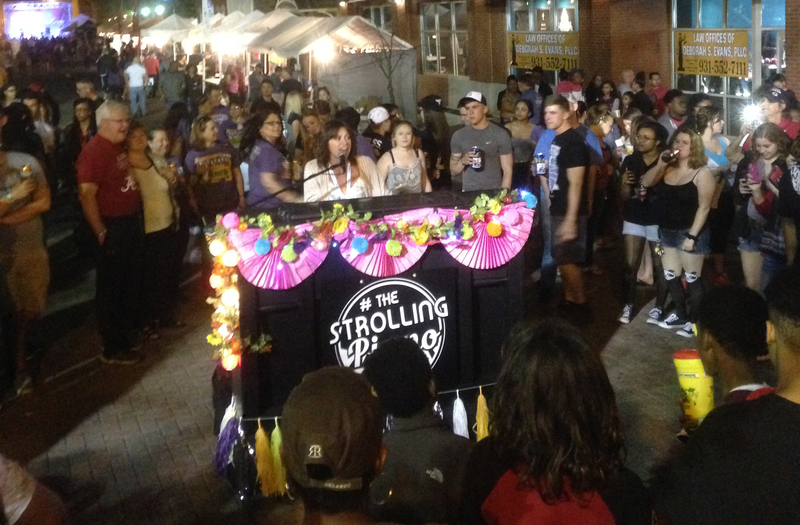 Just another fun strolling option for your event!